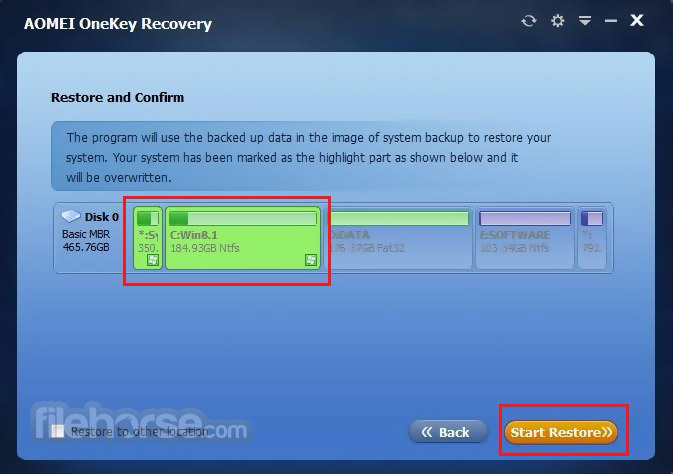 AOMEI OneKey Recovery is a kind of software designed for system data. 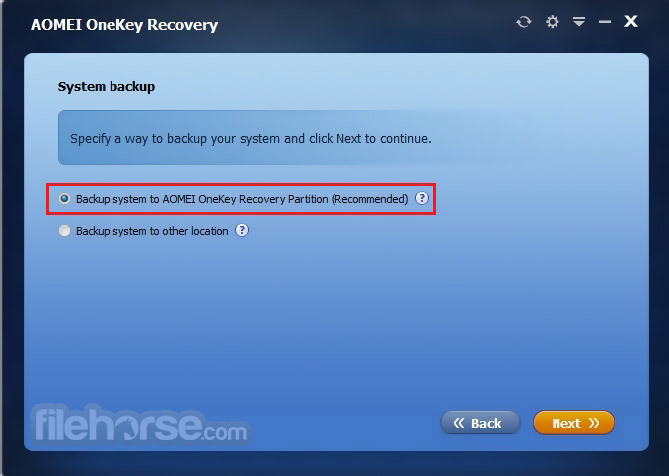 There are two buttons on the interface of AOMEI OneKey Recovery - the one is for system backup, and the other one is for system recovery. As the alternative to Lenovo one key recovery, it can be installed and used in any brand computers and PCs shipped with Windows system. Once your system crashes, you can press F11 or A after starting up, and computer can enter recovery environment to rescue your system. AOMEI OneKey Recovery not only recovers your Operating System but also all your applications, drivers and all personal data to the initial state when the AOMEI OneKey Recovery image was made. There are two kinds of backup and restore methods - to create recovery partition or to store system to other location. You can press “A”/“F11” to restore system image quickly after starting up.